Jake Baadsgaard who is the CEO of Disruptive Advertising has a background that is kind of interesting. He worked as an implementation consultant at a company that was bought out by Adobe where he helped companies like General Electric, John Deere and others implement their web analytics. This is kind of the one thing that differentiates Jake from the rest of the people like him on the market — he is a marketer with a data background. 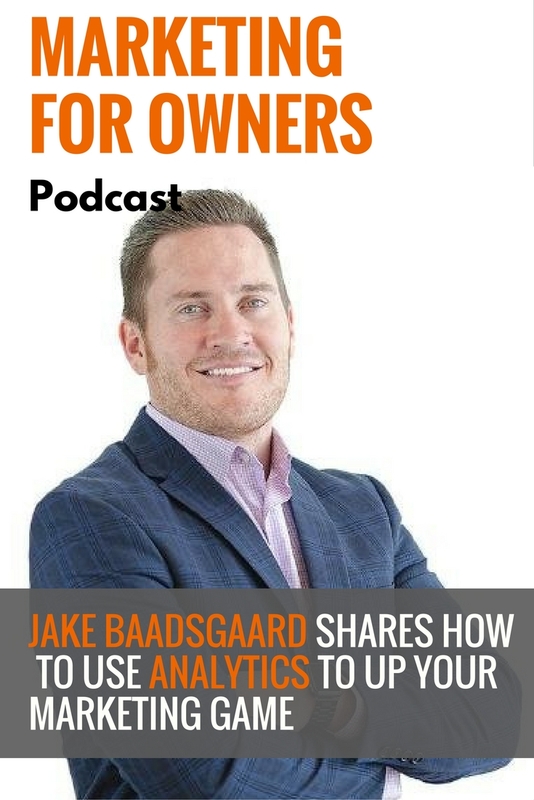 Today – Jake is sharing with us his thoughts on using analytics to up your marketing game. Jake says one of the key things is to not get caught up in the big buzzwords or the key trends that most people do. Most people just need to focus on the golden analytics report which is traffic source by outcome. This needs to be the focus more than the buzzwords or big data. He had a very successful year at Adobe where he sold about $4 million in licensing software. He was doing so well that they wanted to give him a 9% raise, but that was the moment he realized that if he could make that big of an impact, he knew he could do this working for himself. Jake has always had the itch and desire to be his own boss. He was having a very successful year while there. In 2012, Jake set out on his own adventure when he realized that he was very good at what he did. Once Jake left Adobe, he took another job working with a company as a marketing director that allowed him to do what he loved while his non compete with Adobe was being completed. In fact, right before he left the company, they decided to become one of his clients. During the time that Jake was at this company, he started a small software reselling business that helped him put away enough capital to start his second business venture — Disruptive Advertising. He signed a building lease and hired his first employee and set out on his new adventure without having to strap himself down. Jake says that in the 36 months that Disruptive has been in business, that there is only one month that he can recall ever having an unprofitable month. He hit the ground running when he started the company and because he had direction and plans in place to make the company succeed, that is exactly what has been happening. 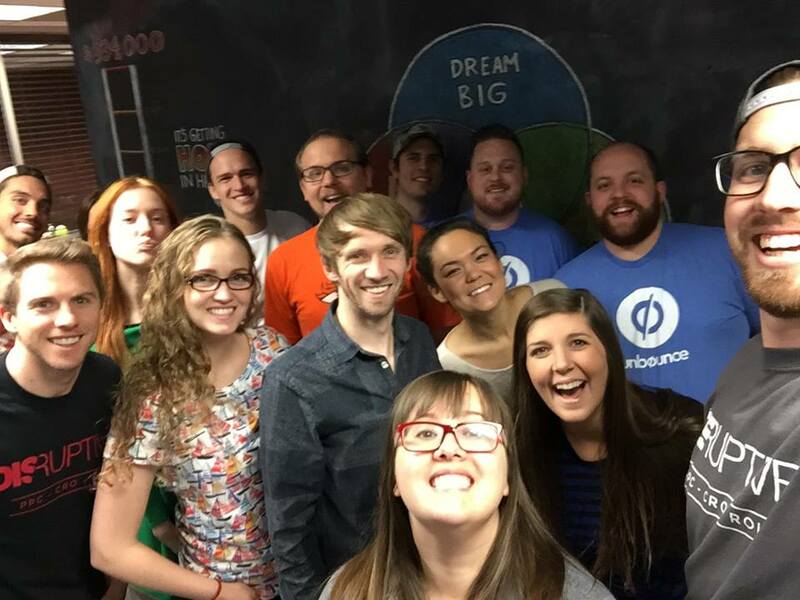 It has been able to grow to where Jake now has 50 employees and continues to grow to this day. Jake fully believes that you should never start a business venture until you have clear direction in how you want to proceed. Jake likes to help companies get to the things that they themselves lack the bandwith to get to. He calls this his 3 pronged approach. Good Data Coming In: Without good data you are flying blind. By using his 3 pronged approach, it makes the decision making process easier to find out what marketing programs are working or not. They optimize the site experience to set up date to measure the success of the campaigns run on your website. To find out the tips listed above as well as many more that he offers in this podcast, be sure to tune in and listen.